The #1 Sports game in the US. Welcome to the Show for the 2014 season! Enter the big leagues with MLB Big Stars™, the officially-licensed Major League Baseball game from Hothead Games. Licensed by MLB.com and the MLBPA. 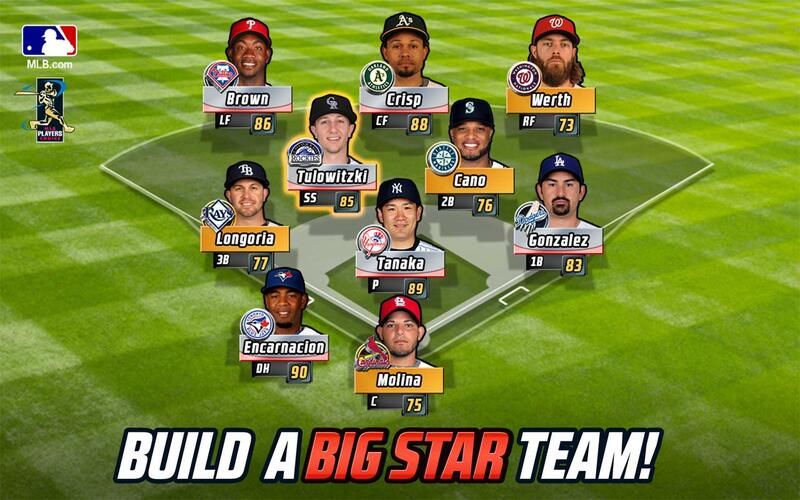 Build your fantasy MLB team and create the ultimate line up from the best baseball superstars. 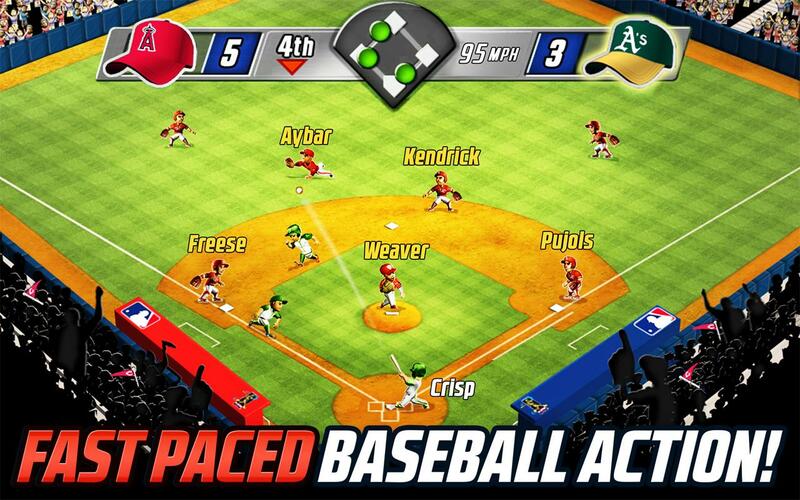 Go head to head against the world or challenge your friends to battle it out on the diamond. Fill your dugout with real players from the 2014 roster, customize your players with uniforms, boost your pro players’ pitching, hitting and fielding skills and enter special daily Amateur and Pro Pennants to win huge prizes! 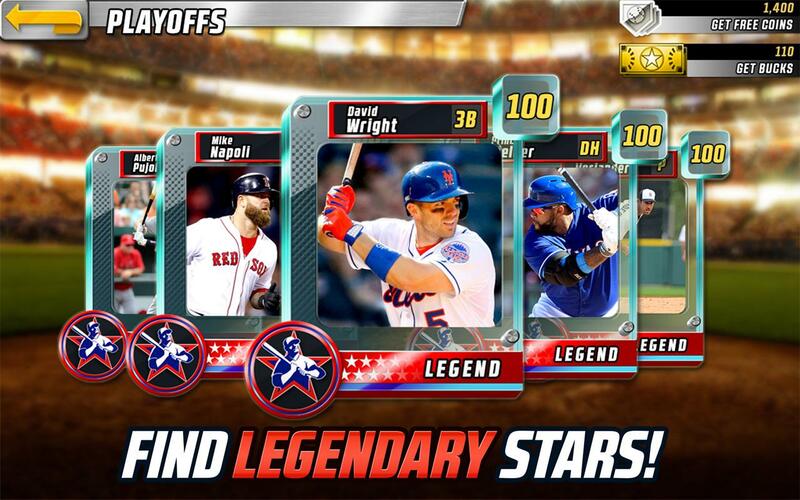 * Collect over 750 REAL MLB players from the 2014 active roster! * Friends mode: Players can use their unique friend codes to challenge their friends! * Pennant Mode: Players can compete in the Amateur Pennant and play against teams with a similar rating or take on challengers of all ratings to win bigger rewards in the Pro Pennant! * Events Mode: Players can compete in special events for a chance to win huge prizes! * Play game-changing Big Impact tactics and watch them affect the outcome when the exciting action unfolds! © 2014 Hothead Games Inc., Hothead, Big Stars and Big Win Sports are trademarks or registered trademarks of Hothead Games Inc., all rights reserved. Major League Baseball trademarks and copyrights are used with permission of MLB Advanced Media, L.P. All rights reserved. Visit www.MLB.com, The Official Site of Major League Baseball. MLBPA-Official Licensee, Major League Baseball Players Association. Visit www.MLBPlayers.com, the Players choice on the web.